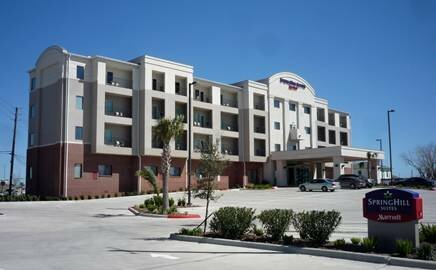 SpringHill Suites Galveston is a cute ideal Galveston hotel with great rates. Springhill is one of the first hotels we come across on the 45 South freeway entering into Galveston. It sits by itself on the 61st street exit lane close to a small neighborhood. Springhill Suites is the ideal location for a no disturbance Galveston Texas vacation. It is the perfect hotel for those running away from everyday noise. The hotel is very simple but clean and the nice interior invites attention. The nearest restaurant called The Diner is about a third of a mile away. There are many more eating places like Wing Stop, McDonalds and Santiego's Mexican Restaurant down the 45 South about a mile away. The 61 st street going toward the seashore is clustered with numerous restaurants. 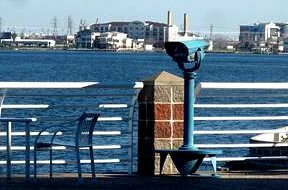 The Springhill Suites is within an eye view from the Moody Gardens. The hotel can be seen across the waters from the garden. This is the place for peace loving vacationers. Average rate is about $110 without tax. Driving directions: Turn Right onto Airport Blvd. Turn Right onto I-45 South. Take Exit 1A toward 61st Street. Hotel will be directly on right. SpringHill Suites 6303 Broadway St.